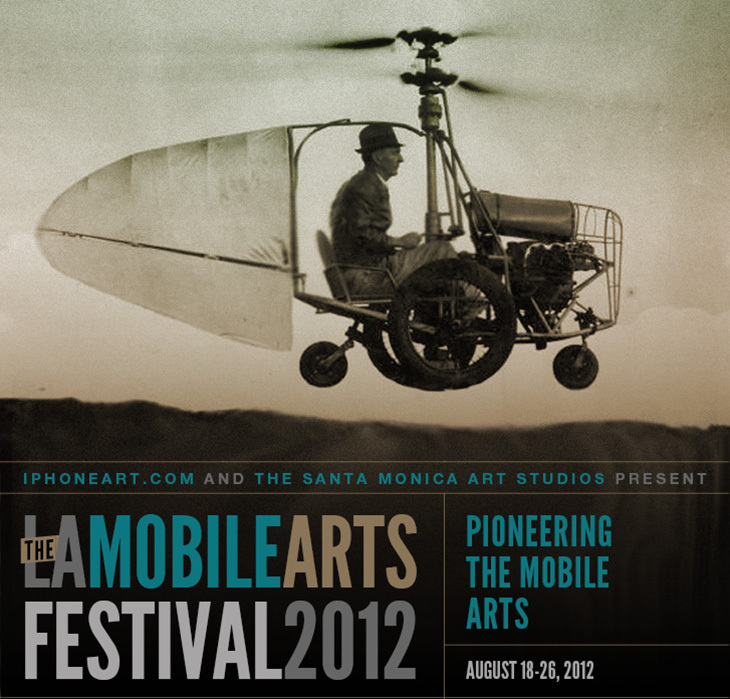 iPhoneArt.com and the Santa Monica Art Studios presents the LA MOBILE ARTS FESTIVAL. Los Angeles celebrates pioneers of iPhoneography and the underground mobile arts movement with nine days of interactive digital art–iPhone imagery, sound- and video-based works, sculptural and performance art installations at the historic Santa Monica airplane hangar turned cutting-edge arts community. Take off with us!! Thanks for the web. I’ll be waiting for the upcoming events. Cheers. IPA Quarterly Opening Reception– You’re Invited!